Sleep and Relaxation help coming to the UGL: Mindful Mondays! In light of recent research into the need for good sleep hygiene, the Undergraduate Library is partnering with the McKinley Health Center to provide relaxation workshops and sleep packs for students. Time: 15 minute sessions between 7 p.m. and 8 p.m.
McKinley staff will be available from 7 p.m. to 8 p.m. and hold 15-minute sessions which will include guided meditation and muscle relaxation exercises. The McKinley staff are also available to speak with students about techniques for dealing with stress. When the UGL closes at 2:30 a.m. on the Sunday nights before these days, we will be handing out sleep packs filled with an eye mask, earplugs, chamomile tea, and other useful tools for a restful night. Although lack of sleep is a strong concern among students–as well as one with serious consequences–few campus health centers have structured programs around tackling this issue. In addition to Mindful Mondays, the McKinley Health Center works to connect with students through the McKinley Wellness App. The app includes a calming memory game, a mood meter, as well as helpful tips for general wellness. To address concerns about good sleep hygiene, the Get Sleep page provides definitions and guidance regarding the issue, as well as a quick link to schedule an appointment with an expert from McKinley. Stop by one of the Mindful Monday events throughout the rest of the semester to learn more! It’s Banned Book Week! This week, we celebrate our freedom to read and our freedom of speech.The University of Illinois is a champion of free speech on all issues no matter how controversial. Want to join along? The libraries will be celebrating all week with various displays, events and pictures. The Undergraduate Library is celebrating Banned Books by hosting a table where you can show off why free speech matters to you. Join us on the upper level of the UGL to make a quick sign saying how free speech matters to you! Championed by the American Library Association’s Office for Intellectual Freedom, Banned Books Week brings together the entire book community to support the freedom to seek and to express ideas. Consequently, members of the the University of Illinois’ Literatures and Languages Library created a book display, which highlights important moments in America’s history of book banning and censorship, and underscores a variety of international authors who, in more recent history, have either been imprisoned or exiled due to their literary work. While the display is in no way representative of the entire history of book banning, we hope that it represents the University of Illinois’ commitment to diversity and inclusivity, and to its mission to pioneer innovative research that addresses global problems and expands the human experience. 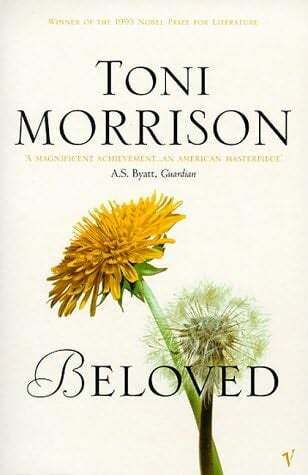 Some of the authors featured in the display include: Harriet Beecher Stowe, Toni Morrison, Lui Xiabo, Shahrnush Parsipur, Aslı Erdoğan, and Ngũgĩ wa Thiong’o. The display also contains an excerpt from the The United States v. One Book Called Ulysses decision, an original copy of which belongs to the Rare Books and Manuscripts Library. Want to join the library in our battle against censorship? Grab your favorite banned book and use the hashtag #IlliniSpeakOut on social media! It’s that time of year again! Whether you are new to campus or returning, there are plenty of free back-to-school events to welcome you. Check out the line up for Welcome Week 2017! Enjoy food, games, live music and performances by comedians and a hypnotist! Get acquainted with Champaign-Urbana. Over 80 different local vendors will be present. Ease into the new semester by playing games like Dominion, Settlers of Catan, and more! Face a group challenge in our Pathfinder mini-campaigns! All of our games can be checked out to continue the fun at home. Whether you’re a seasoned DM or a new Settler of Catan, come by and play! Movie is to be determined. Find what you’re interested in! More than 600 registered student organizations and other campus organizations will have information on how to get involved… and of course, freebies! Feeling a little nostalgic on your first day of school? Get your picture taken as you would in grade school so you can share with family and friends. Enjoy performances, and if you’re feeling brave, take the stage! We’ve covered just a handful of events happening during Welcome Week, so be sure to let us know what we missed on our Facebook, Twitter, and Instagram pages, and stay tuned for more blogs throughout the semester! Have you been following along with our Find Uggles contest? 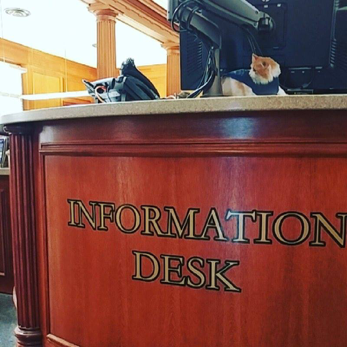 Each week, Uggles, the Undergrad Library cat, is hiding in a different location on campus. 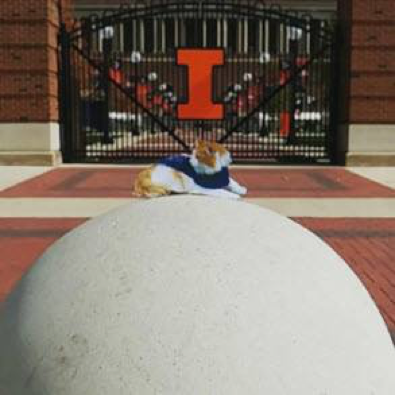 Each Monday, you can find a clue to her location by checking out our Instagram (@askundergrad). The first person to return her to the circulation desk at the UGL gets a cash prize and has their name entered in a drawing for a Kindle Fire which will take place at the end of the semester. 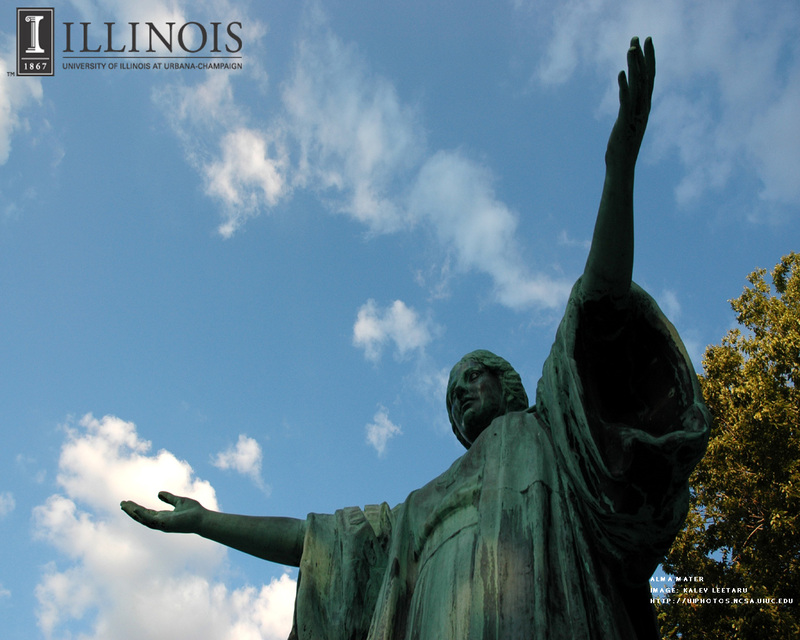 This year is very special for the University of Illinois because we are celebrating the sesquicentennial, or 150 year anniversary of our University. The day after Uggles is found, we have been revealing the location, along with some historical information about the place where she was hidden. 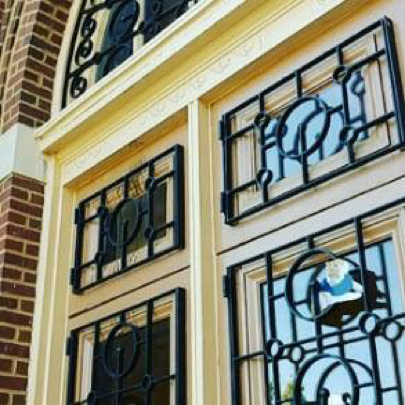 Whether the building is new or old, each building on campus has a unique history! If you’ve missed some of the posts, you can read more below! 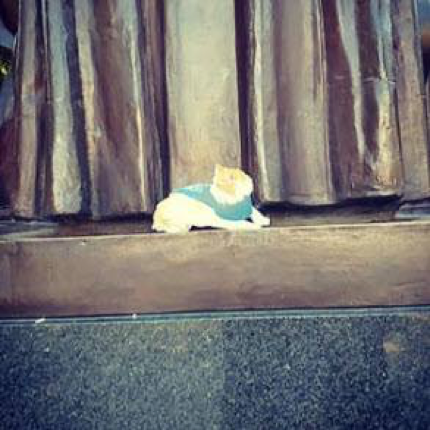 Congratulations to our first winner, Sandy, who found Uggles hiding at the Alma Mater statue! Alma was unveiled in June 1929 and was originally placed directly behind Foellinger Auditorium. On August 22, 1962, the Alumni Association moved the sculpture to its present location in front of Altgeld Hall. 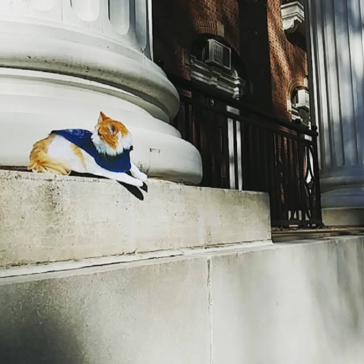 Congratulations to this week’s winner, Christopher, who found Uggles hiding at Foellinger Auditorium. Built in 1907, Foellinger has had many famous faces speak and perform within. Among these include: John Phillip Sousa, Jane Addams, Robert Frost, Duke Ellington, Eleanor Roosevelt, Ravi Shankar, R. Buckminster Fuller, Maya Angelou, and Bill Gates. Congratulations to this week’s winner, Leonel, who found Uggles hiding at Grange Grove, which debuted in 2015. Grange Grove has transformed what was previously Lot 36, into a free, high-energy tailgating area, which students and fans enjoy! 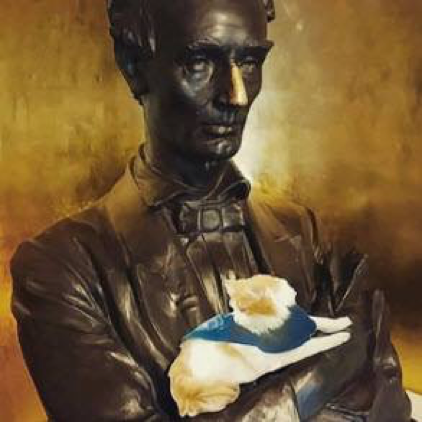 Congratulations to this week’s winner, Anih, who found Uggles hiding by the Lincoln Bust in Lincoln Hall. 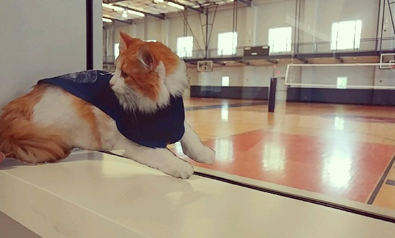 Congratulations to this week’s winner, Jessica, who found Uggles hiding inside the Campus Recreation Center East (CRCE). Although it originally opened in 1988, CRCE as we know it today officially opened in March 2005. Along with the usual basketball courts and gyms, CRCE also has an indoor waterslide and a waterfall! 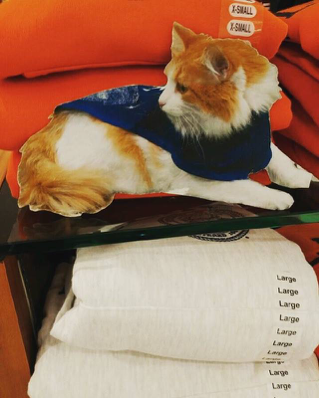 Congratulations to this week’s winner who found Uggles hiding in the Main Library! The Main Library was founded in 1867 and actually pre-dates the University, as the founders wanted students and staff to have access to books and materials “from the day they arrived on campus.” The Library officially opened in 1868, and eventually moved to the building we know it as in 1926. 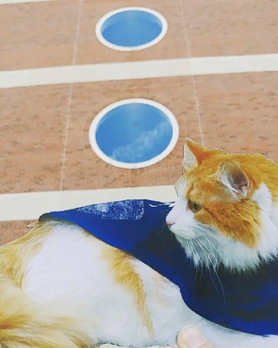 Congratulations to this week’s winner, Logan, who found Uggles hiding outside of the English Building. Built in 1905, the English Building has quite the history. Originally serving as a women’s dormitory with a gymnasium and pool, it eventually became the home economics department and was renamed Bevier Hall in 1947. Finally becoming the English Building in 1956, there are many rumors surrounding the supposed haunting of this building. The Undergraduate Library Announces the UGL 50th Anniversary Design Competition! DON’T DISTRESS, DE-STRESS AT THE UGL DE-STRESS FEST!